During Friday prayer on March 15, Brenton Harrison Tarrant, a 28-year-old Australian, went fully armed to Al Noor Mosque and murdered 42 worshippers. He then drove to the Linwood Islamic Centre where he murdered another seven worshippers. One person later died in the hospital, and scores of people were badly wounded. The victims in the Linwood Islamic Center were less in number thanks to the heroism of Afghanistani immigrant Abdul Aziz who quickly understood that this was a terrorist attack and confronted Tarrant with one of the weapons he had tossed aside and a credit card scanning machine that he was able to grab. Just hours after the gruesome incident, Australian Senator Fraser Anning issued a disgusting hatemongering statement that ostensibly claimed to “totally” condemn “the actions of the gunman,” yet blamed Islam and New Zealand immigration programs, just as also Tarrant did. New Zealand has a Muslim population of only 1.6 % of whom around 75% were born in New Zealand. Muslims who have mostly left their war devastated home countries to seek shelter and a safer place. Yet, instead of security these victims were caught in a terrorist attack. We at Arab-West Report strongly condemn any terrorism, regardless who the victims are, be them Muslims, Christians or of any conviction. Whatever terrorist attacks have been previously carried out in the name of any religion or conviction, this never justifies similar murderous attacks on adherents of that belief or conviction. We grieve with the families, friends, and communities of the victims!! There are several definitions of terrorism. One such definitions is the U.S. Code of Federal Regulations that defines terrorism as "the unlawful use of force and violence against persons or property to intimidate or coerce a government, the civilian population, or any segment thereof, in furtherance of political or social objectives" (28 C.F.R. Section 0.85). One can add to this that terrorism is carried out to achieve maximum publicity for the motives of the perpetrators. The terrorism attack of Brenton Tarrant was politically motivated and premedicated. He recorded the killings through a camera on his head that was telecast live on many video streaming services including LiveLeak and YouTube. Tarrant produced a 73-page manifesto, which he named “The Great Replacement” in reference to right-wing theories claiming white people are replaced by peoples of non-Western cultures. Using white supremacist rhetoric, he called for all non-European immigrants to be removed. He further expressed support for Anders Behring Breivik and other white supremacists, claiming that they took a "stand against ethnic and cultural genocide." Just nine minutes before the undergoing the heinous attacks, his manifesto was sent out to over 30 recipients, including the Prime Minister's office as well as several media outlets. Tarrant radicalized, according to his manifesto, after traveling to Europe in 2017. He witnessed the presidential elections in France where Emmanuel Macron won from Marine Le Pen and was disappointed that a globalist, capitalist and multiculturalist could win from a “semi-nationalist,” who in the views of Tarrant was much too weak. These elections showed him and other right-wing radicals that elections would not bring the changes that they were hoping for. In the same period, he became obsessed with terrorist attacks carried out by Islamic extremists in Europe. Tarrant dreams of a world in which each ethnic group remains in its own country but if they dare to cross to Europe then violence, he claimed, is needed. Tarrant writes about a cleansing violence, creating an atmosphere of fear that will open the road for a drastic revolutionary action. For Tarrant all Muslims in New Zealand are “invaders,” even if they are children. One hears the echoes of the arguments of rightwing European populist politicians in his manifest such as the claim that Muslims try to Islamize Europe with a “birth jihad” (claim from AfD politician Björn Höcke) or “demographic suicide” (claim from Thierry Baudet, MP in the Netherlands). Tarrant is expected to have been in contact with other rightwing activists such as Make New Zealand Great Again, Kiwi Alt Right and Young New Zealand who during the Parliamentary elections of 2017 argued for a New Zealand without non-European migrants. The attack seems to be inspired by Breivik, a lone wolf who in 2011 detonated a bomb in Oslo claiming the lives of eight people and then went on a shooting rampage in a youth camp outside Oslo killing 69 youth, mostly teenagers. The majority of the victims belonged to the Norwegian Labour Party’s youth movement, which the gunman held responsible for the immigration of Muslims and other non-Europeans in Norway. Breivik claimed that Europe “has been deeply brainwashed since the second World War by what he calls ‘Cultural Marxists,’ people who believe in multiculturalism.” I have described his beliefs in a report published in 2011 in Arab-West Report [2011, week 29, art. 27]. Tarrant’s manifesto shows great similarities to that of Breivik. Breivik was sentenced to 21 years in prison with the possibility of one or more extensions for as long as he is deemed a danger to society. This is the maximum penalty in Norway. Breivik was utterly unrepentant, using the court to make extremist statements for the purpose of propaganda. He defied the decision of the court by not recognizing its legitimacy. His terrorist actions, manifesto and defiance in court have made him a hero among right-wing extremists. Tarrant appeared in court on March 16. He smirked at the media and made gestures that indicated that he showed no remorse for his atrocious actions. The similarities between the two terrorists are stark. Terrorists in Egypt know they will most certainly face the death penalty if convicted but in Western countries terrorists may become heroes in right-wing circles and be released over time which is deeply painful for families who will never see their beloved ones again. I understand campaigners against the death penalty but in cases such as Breivik and Tarrant I believe this would be justified. There are various other problems in Western societies. Several terrorist attacks were made possible due to liberal gun laws. Terrorism will not be eradicated if permits for the possession of weapons become more strict but it will certainly make it harder for lone wolfs the likes of Tarrant to commit heinous acts of terror. In Western liberal democracies one can hold almost any point of view. But any view that calls for hate should be even more actively countered. Any view that presents people of different belief, nationalism, or whatever else as the enemy should have no place in any society. In the many years I have worked for Arab-West Report, I continuously see that much violence is related to changes people are experiencing in society: immigration changes the people we see in the public domain; fashion changes a person’s identity; architecture changes the religious landscape, with church being erected in a predominantly Muslim village throughout the Middle East and mosques constructed in a predominantly Christian areas throughout Europe and conversions from one religion to the other. Indeed, people fear what they don’t know, and change is a marker of the unknown. It was precisely this fear that Australian Senator Fraser Anning wrote about in his March 15 statement. But Anning’s grossly generalizing statement against all Muslims is just doing that: creating more fear and hate. 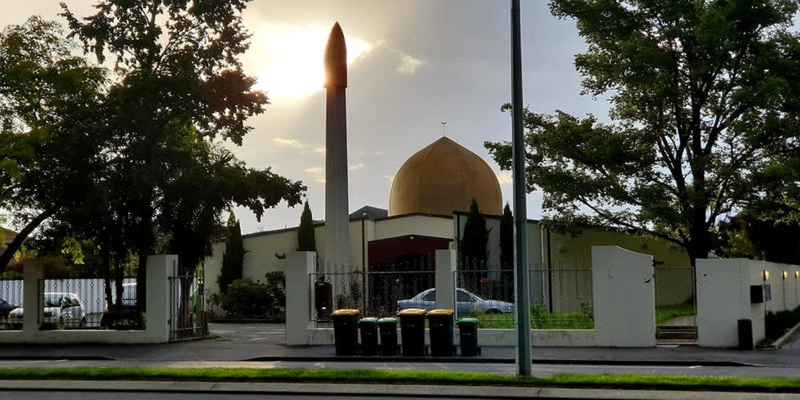 In his statement, he claims that calls for restricted gun laws and nationalist views is “clichéd nonsense.” He further purports that “the real cause of bloodshed on New Zealand streets today is the immigration program which allowed Muslim fanatics to migrate to New Zealand in the first place.” He dares to say that “Muslims may have been the victims today.” “May have been? ?” How dare he doubt that Muslims were the victims?! Muslims were clearly targeted, just as Muslims had been targeted during the Bosnian/Serbian war and in many different places around the world in the same manner as others have targeted Jews, Yezidis, Christians or people of other minority groups. Anning claims, however, that “usually they [Muslims] are the perpetrators. World-wide, Muslims are killing people in the name of their faith on an industrial scale.” Yes, the world has seen the atrocities of the Islamic State and other terrorist groups that have acted in the name of Islam. The world counts around 1.8 billion Muslims, and the overwhelming majority totally reject the violence that has been carried out in the name of their religion. But in right-wing circles Muslims demonstrating against terrorism carried out by people claiming to adhere to Islam such as after the attack on the Two Saints Church in Alexandria in 2011 (and there are many examples) are conveniently neglected because it does not fit in their ideology. Anning’s claim that Muslims are killing non-Muslims on an “industrial scale” is outrageous. Any killing in the name of any ideology is outrageous but industrial scale mass murders took place in Germany during the Second World War, Cambodia, Ruanda and other countries where not hundreds or thousands were killed but millions. Blatant gross exaggerations to any people’s faith do a great injustice to the large variety of beliefs and thoughts one finds in any system of thought, regardless whether this concerns a religion or an ideology. Anning obviously knows nothing about Islam and seems to have his sources only in right-wing circles. The diversity in Islam is so large, just as is the case with Christianity and other belief systems. The problem here is that right-wing extremists claim that the only “true” Muslim is the Muslim who fits their description. The other 99% of Muslims are, in their view, not “true” Muslim. That is a very distorted and misanthropic way of thinking. If Islam, as a religious faith, would have been against so-called unbelievers, then the Christian minorities in the Muslim world would have been wiped out long ago. Anning is rightly upset that many Muslims argue for the death penalty of apostates from Islam but also here he does not realize how diverse Islam is. He probably never heard of a discussion that took place in the Islamic Research Center at the Azhar University in the 1990s in which scholars argued that apostates cannot receive the death penalty since punishment should be left to God only. This has not become a majority viewpoint but the discussion itself shows that Muslims do not have one unanimous opinion on the punishment of apostates. Islam is like any other faith. In Christianity’s history there have been church leaders calling for violence against those whom were considered to be unbelievers. The same can be found in Jewish history, and each time violence is justified with a claim to absolute truth by the perpetrators. Using the term ‘fascism’ is very common in right-wing fascist circles who are opposed to Islam. Describing Islam as a ‘savage belief’ is totally unjust to those followers of Islam who are peace loving people. Anning simply does not want to recognize such people because it does not align with his beliefs. I strongly dislike it when anyone is taking a quote from Bible or Qur’an out of context and then gives it its own twist. Anning’s statement shows a huge ignorance. He better reads, among other works, Hugh Goddard’s PhD thesis “Muslim Perceptions of Christianity,” which will show him how diverse Islam really is with Islamic streams that are very peaceful. Dr. Michael Burslem and I wrote in 2008 a lengthy review of his thesis for Arab-West Report (2008, week 18, art. 3). The statement of Anning was widely received with disgust. See for example the response of Egyptian MP Mohamed A. Fouad. For the full text, please click here. In 2011, I wrote that “the case of Anders Breivik shows what is possible if people who are not familiar with Islam are constantly exposed to material that continuously blames Islam for all evil.” Anning, Wilders, Trump, and others do just the same. They incite the hatred that lone wolfs such as Breivik and Tarrant believe justifies the terrorism they themselves have been engaged in. Governments need to take stronger action against terrorism. Terrorists should not get the opportunity to become heroes in their own circles, and extremist ideologies need to be combated and not left free like cancer cells to grow until it has become a deadly tumor. Western media should give much more attention to Muslim peace activists and show a different face of Islam. This call to the media is repeating what I stated earlier in my report about Breivik and other reports in Arab-West Report expressing the need to address stereotypes that do great harm among people who have no understanding of the great diversity of the world we are living in.